London, July 19th, 2005, Xplosiv is looking to bowl over the competition this summer with the release on PCCD Rom of International Cricket Captain Ashes Year 2005, on August 5th. In the year England will battle for honour and victory against the Australians in the Ashes, International Cricket Captain Ashes Year 2005 will give both cricket enthusiasts and (management) gaming fans their own taste of cricketing glory as they lead their teams on the long path to victory. This time around rising cricket star Andrew Strauss, member of the Ashes England cricket team, former captain of Middlesex and Wisden cricketer of the year will lend his support to International Cricket Captain Ashes Year 2005. ‘I am really pleased to be associated with Xplosiv and the next game in the International Cricket Captain Series, the amount of information in this game is terrific, it’s a must for all cricket lovers’ said Strauss. In game commentary will also be included by world-class BBC reporter Jonathan Agnew, to give the game added realism and a touch of class. 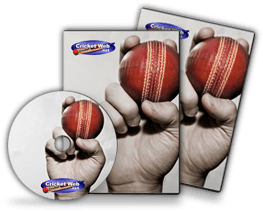 Player Database: comprehensive and up-to-date database* ( beg of 2005 season) featuring statistics for every first class cricketer in the test playing nations. The Match Screen: play and watch individual matches. Allows the player to change tactics on an over by over basis whilst selecting the highlight level for watching the action. Transfers: improve your squad by offering contracts to experienced or youth players. Team Selection: who’s in form and who’s not. Regret not including a spinner for the last match? Groundsman: instruct your groundsman to prepare a pitch tailor made for your attack. Playing Conditions: bounce, wear, weather and light vary from fixture to fixture, and change during individual matches. Coach and physio: a key player injured or out of form? Book him in for a session with the coach or physio. Line and Length: set a line and length for your bowlers. Select a full length or send a bouncer to rile the tail-enders. Two Player: captain any of the Test playing nations and compete against a friend in either a Test or one-day series. World Rating System: featuring the top ten bowlers and batsman.